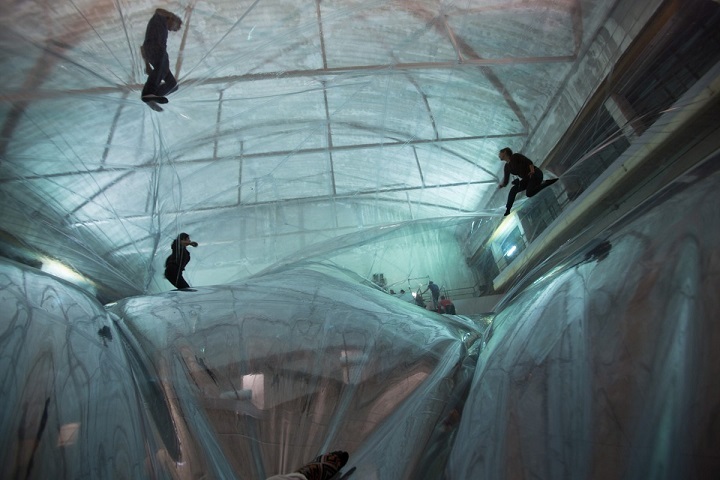 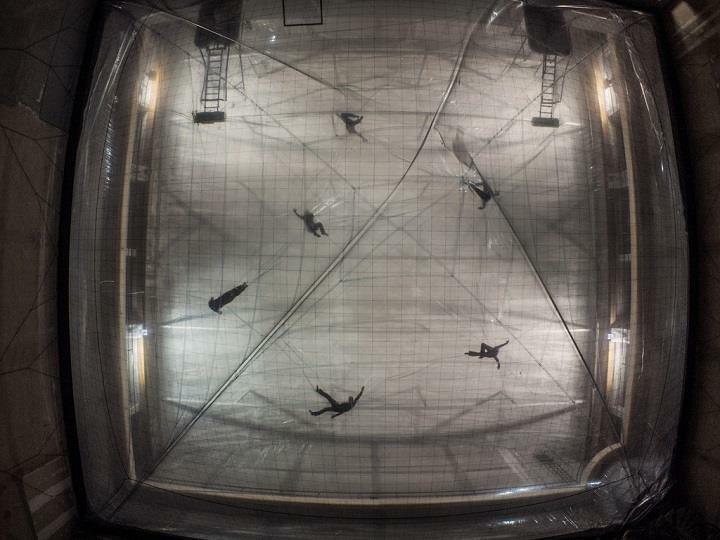 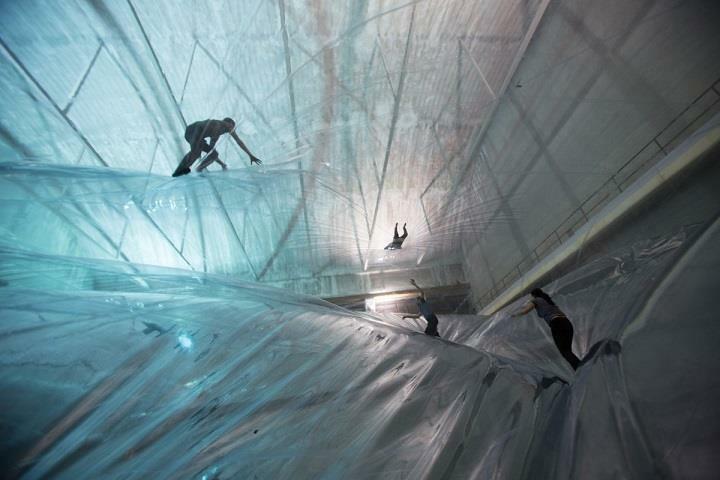 Tomás Saraceno is an Argentine installation artist and architect well known for his huge social and artistic sculptures. 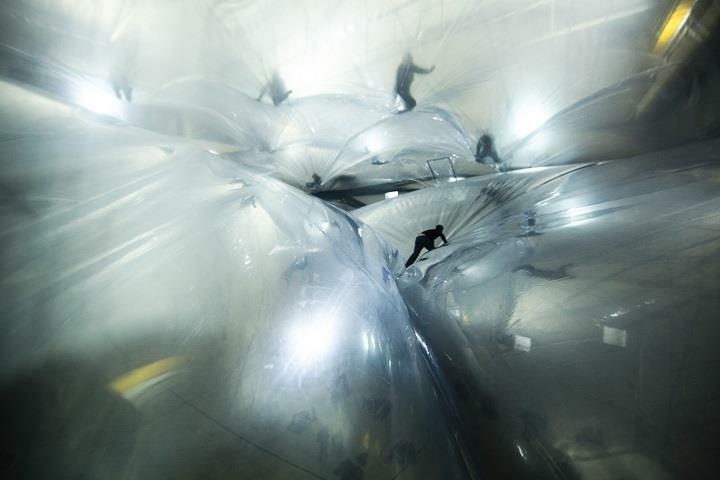 Recently he has realized the largest inflatable installation ever made – On Space Time Foam. 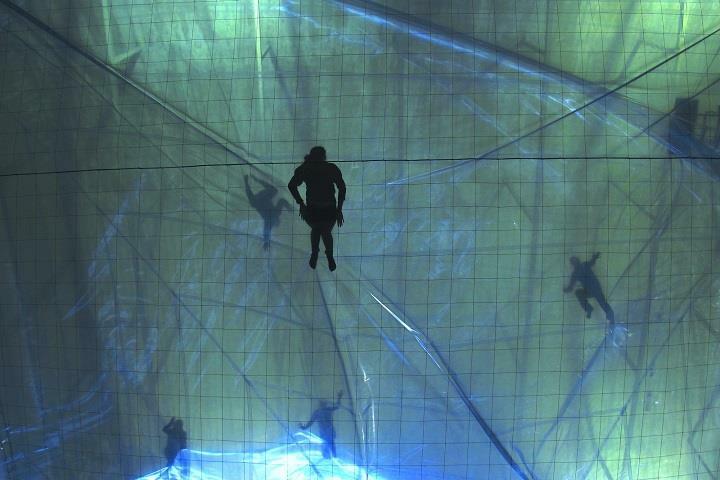 It is composed of a transparent surface accessible to visitors, hanging at a height of 20 metres and covering 400 square metres on three layers, for a total of 1,200 square metres. 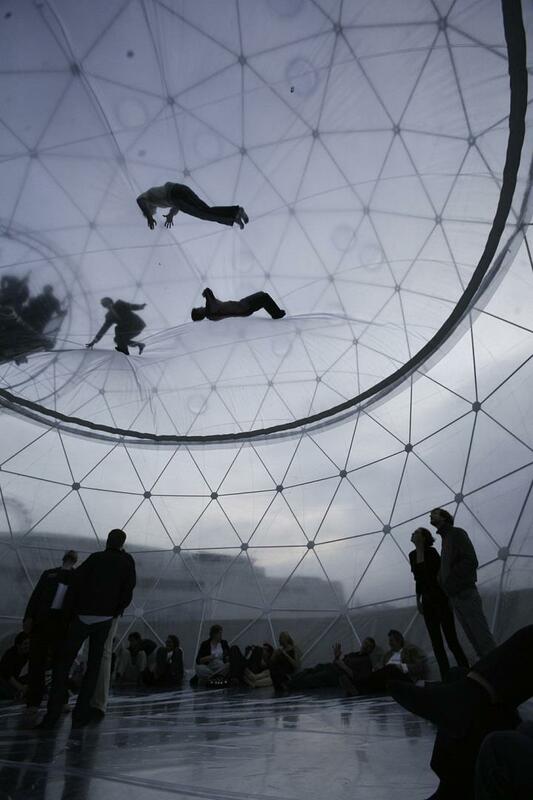 Based on quantum physics and theories on the evolution of the universe, On Space Time Foam was realized thanks to references to various kinds of knowledge, from science to art. 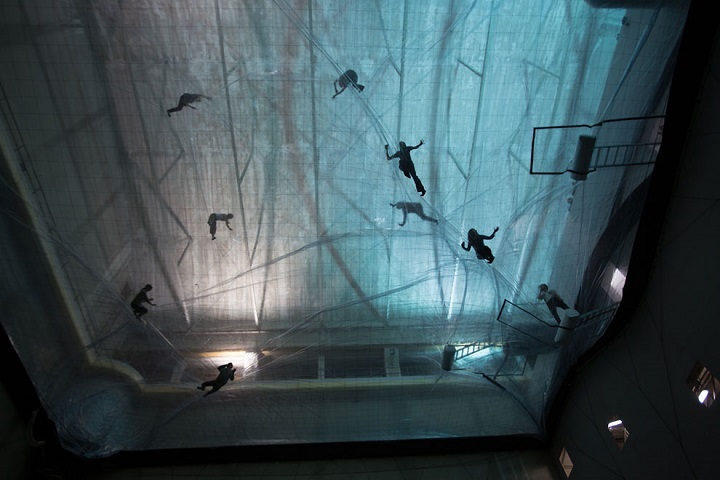 This stunning installation transforms architecture into a living organism, one that breathes thanks to the movements of those who cross it. 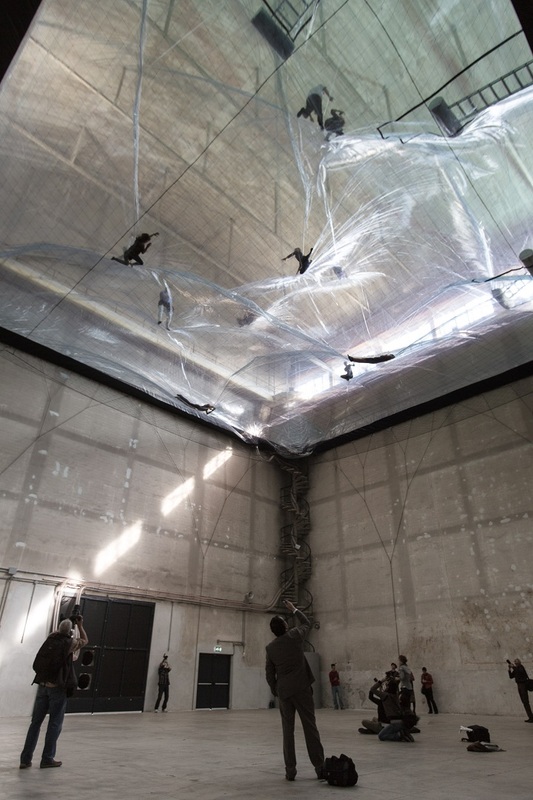 In Saraceno’s works the structural context, environmental forms and innovative materials come together to create projects with a powerful ideal motivation that can break down all disciplinary barriers and focus on the language of space and social dynamics.